As with the other two albums being released at the same time, the album itself is sounding better than ever thanks to being re-mastered. Featuring some classic songs -including Rainbow in the dark, and Holy Diver, this is still a top class album and an essential part of anyones album collection. Much of the bonus material comes from the King Biscuit Flower hour in 1983, with the remaining tracks being B sides. 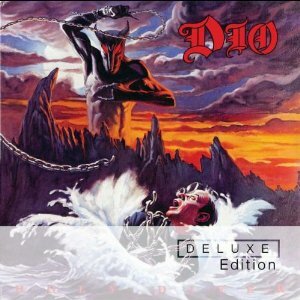 The Deluxe edition of Holy Diver is available now.